Wrapping your arms around Trump’s massive conflicts of interest as president has always been a challenge. They seem to be everywhere. But Dan Alexander has done a good job of capturing the breadth of the issue. First of all, he steers us away from the small potatoes that have been the focus of so much reporting. 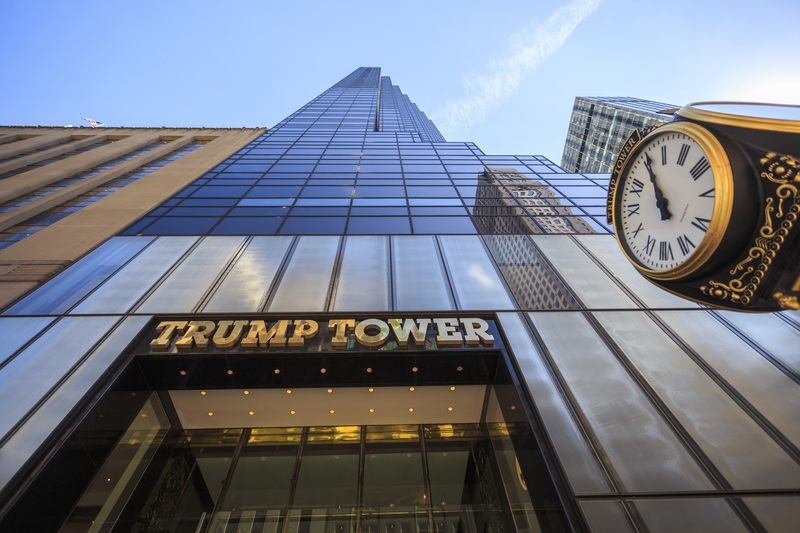 Much of the yammering in this area surrounds Trump’s hotels, especially the one in Washington, D.C., which has billed $268,000 in hotel rooms and catering to the Saudi government, and his international licensing deals, which allow foreign tycoons and hucksters, many with connections to their local governments, to pay the Trump Organization more than $5 million a year in order to profit from the president’s name in far-flung locales. But that’s all small potatoes. Instead, he suggests that the real money comes into play when analyzing Trump’s commercial tenants. Boiled down, the Trump Organization is more a collection of deals than an operating business. While Wal-Mart and General Motors rely on millions of customers around the world, the Trump Organization relies on a handful of large entities. That insulates the president’s business from consumer whims–and lagging favorability ratings–while leaving him vulnerable to corporate (or government) interests. Capital One rents space for an estimated $1 million at the bottom of Trump’s Park Avenue condo building–while the Justice and Treasury departments investigate the bank’s anti-money-laundering program. Four years ago, the Department of Justice reached a nearly $17 billion settlement—the largest ever of its kind—with Bank of America, the biggest tenant (an estimated $18 million a year) at the 555 California Street complex in San Francisco, where Trump owns a 30% stake. Like all big banks, BofA remains under scrutiny by federal officials. In December, Trump tenants UBS, Barclays and JPMorgan, plus Trump lender Deutsche Bank, got waiver extensions from the Department of Labor that allow them to avoid part of their punishment for illegally manipulating interest rates and foreign exchange rates. Three months after Trump became president, the U.S. Postal Service, part of the executive branch, started a new lease in a Brooklyn housing development where Trump owns a 4% stake, according to his financial-disclosure report. While he’s in process of selling the stake—his lawyer Garten says that Trump’s business has no day-to-day control over properties where it holds minority investments—the president and his partners continue to collect an estimated $25,000 in annual rent from the federal government. French insurance giant AXA pays an estimated $41 million to rent space in a New York skyscraper in which Trump holds a 30% interest. According to a prospectus filed in November, the French firm may have to disclose business with Iranian entities, which could open it up to U.S. sanctions, at the discretion of the president of the United States, who just so happens to take in an estimated $12 million from AXA each year. …even if Trump tried to rule without any personal favor, or if this was decided without his direct input, the appearance of a conflict of interest is unavoidable. The companies know their landlord is the president. And it’s hard to get into the heads of regulators, however well-intended or removed from the White House, who serve a president famously obsessed with personal loyalty. I couldn’t help but think of how the media became obsessed with the potential “appearance” of a conflict of interest for Hillary Clinton based on the activities of the Clinton Foundation. Talk about small potatoes! Where is everyone now when all of this is going on in plain sight?